CAM-16: CAM-16 was awarded to Continental Air Lines. CAL was formed in Ohio on October 10, 1927. 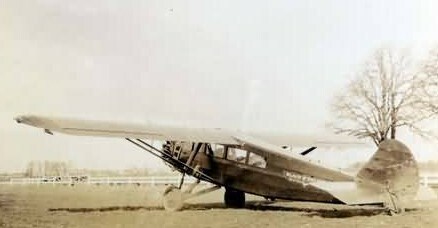 CAL was not affiliated with today's Continental, but was rather part of Universal Aviation Corporation, a predecessor of today's American Airlines. Postal mail covers carried on the inaugural flight between each point of landing and take-off are collectible and are known as CAM-16 covers. Continental provided mail/passenger flight service using Travel Air 6000 aircraft. Pilots flying different legs of this August 1st CAM-16 inaugural air service included, Ross Arnold, JE Hart, HL Kindred and William M McConnell.